The 2210 series is a flip-top type cash drawer. The CR-2210 series has a Aluminium die-cast base and wear-proof Aluminium die-cast top. 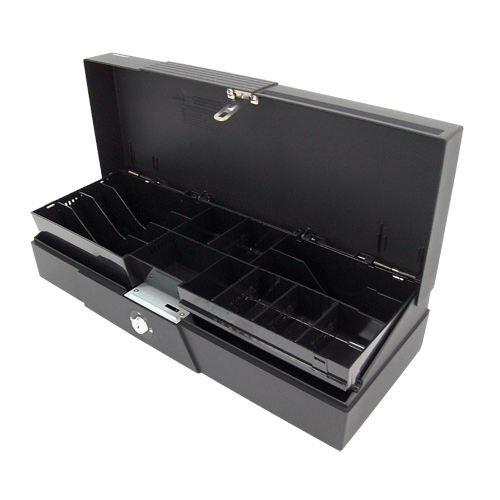 This CR-2210 series provides 8 coin and 6 bill compartments. Has RJ12 connector, so cables can be made to length as required.